Ham, spicy chorizo, or Italian-style sausage—there are so many delicious pork varieties to choose from. 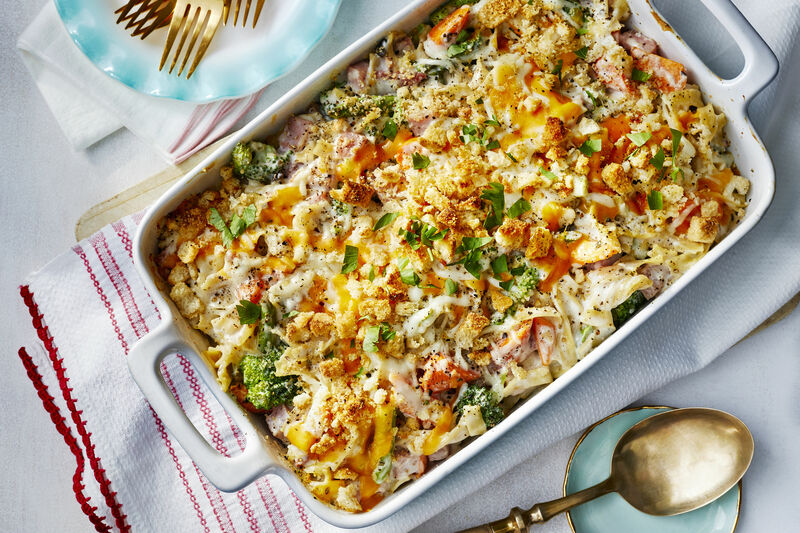 Here, we're serving up delicious savory casserole recipes that star the other white meat. Baked ziti is one of the easiest Italian-meets-busy evening dinner dishes, and we find ourselves reaching for the recipe often (not necessarily reaching, though, as we have memorized the recipe by now) This spin on classic baked ziti call for pancetta, or cured pork belly, which is the same thing as bacon without the smoke. 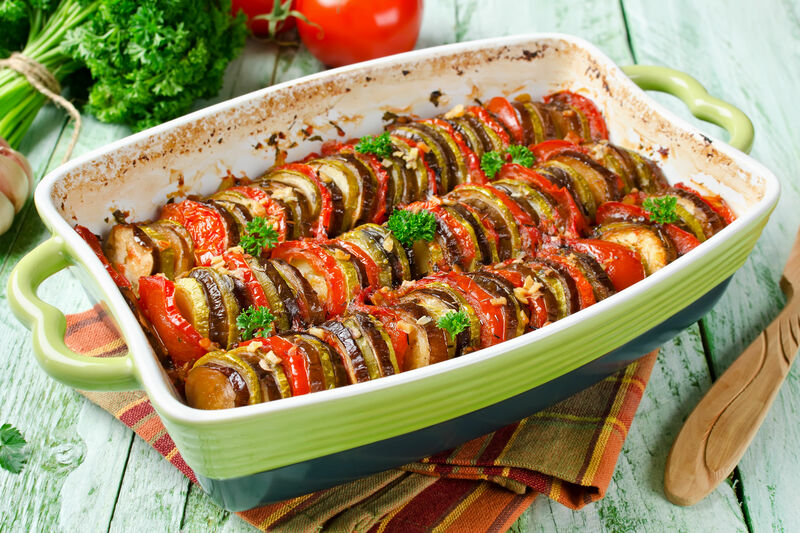 It adds pure flavor to this dish, and you can find it in the deli case of most supermarkets. Another ingredient in this recipe is native to Italy—San Marzano tomatoes, which are also known for their sweet flavor. Consider trying them in place of regular crushed tomatoes in the sauce. 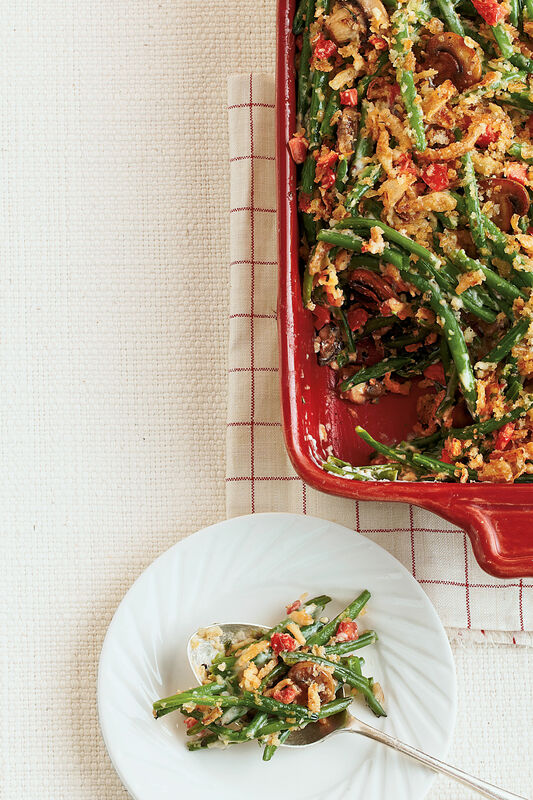 If your family is tired of spring salads, break out a spring pasta bake instead. It is hearty, but it retains all of the creamy freshness of a great green salad. In this dish, baked pasta gets a spring spin with the addition of bursting baby sweet peas and flavorful ham. Ham and peas nest in the al dente perfection of the pasta. We also love the crunchy, savory topping, which juxtaposes the creaminess of the dish and is made with croutons and Parmesan cheese. This dish capitalizes on the deliciousness of pasta and Parmesan, but thanks to the peas and ham, it isn’t too heavy to be a meal for lunch. 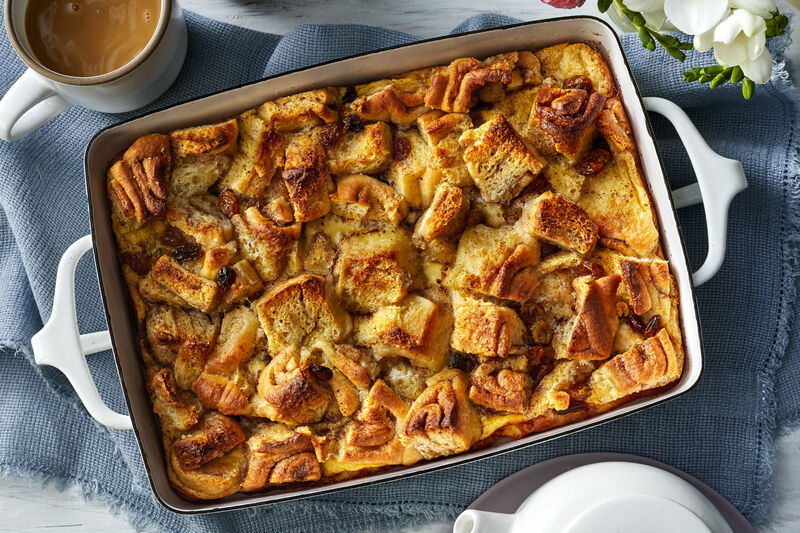 This isn’t necessarily a breakfast dish, but it certainly combines all of the flavors your family loves in a breakfast meal spread. In combining sausage, pepper, and grits, it makes this casserole even more versatile, and we’ve seen it served for breakfast, lunch, or dinner. In creating this recipe, our Test Kitchen took a cue from shepherd's pie and used grits (in lieu of mashed potatoes) to seal in the flavor of juicy sausage in an ever-so-sweet sauce. That addition to the recipe is a trade secret that works perfectly in this dish. It’s a hearty casserole with some personality. You’d be proud to take anywhere. It’s the best of both worlds. We love Southern cities, and there’s certainly nothing like the country south of the Mason-Dixon, so this mac and cheese is a perfect combination of Southern flavors. Smoky cubes of brined city ham and salty bits of country ham blend together in a smoky-salty burst of flavor and give this main-course macaroni and cheese both its name and its savory appeal. Pasta enrobed with a creamy sauce and melting pockets of gooey cheese take it over the top and into the top drawer of your recipe file. If you think your family likes mac and cheese now, just wait until you feed them this dish. We all love a good pizza, but on those nights when you’d rather not order one in a greasy cardboard box, this dish can provide you will all of the flavor of a great pizza in one baking dish. (Plus it’s easy to prepare and requires minimal after dinner clean up!) 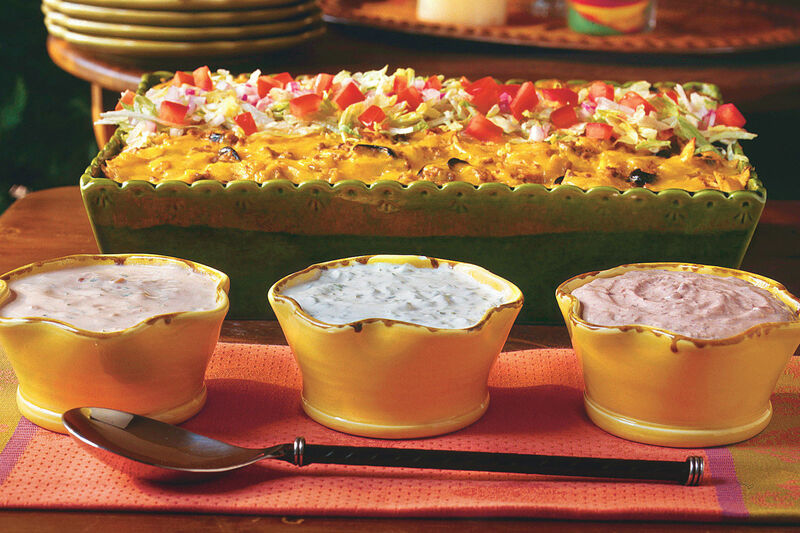 With this dish, you can win over all of the kids and grown-ups in your house. 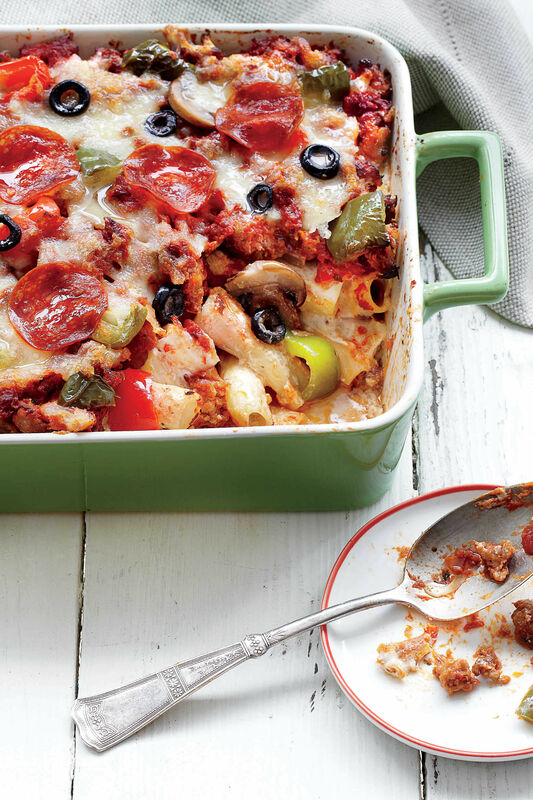 This Italian pizzeria-inspired casserole will become a new instant classic. The best part, though, is probably the money you’ll save, because this dish can feed more people than two pizzas delivered to your door with all the toppings. Using both fresh and packaged mozzarella gives it an irresistibly melty consistency. This recipe provides the Italian-Southern mash up we’ve been craving. This pie combines a winning trio of meats, cheese, and vegetables for an appetizing main dish. The traditional pot pie meets Italian-style pizza flavors for a creative dinner entrée that will please even the pickiest of eaters. Serve it with a great salad and a dusting of Parmesan cheese for a satisfying dinner plate. Using refrigerated pizza dough cuts your prep time in half, and you can feel free to leave out the mushrooms in the recipe if you have any mushroom-averse eaters in your family. A jar of tomato and basil pasta sauce adds creaminess, but you can also sneak out to the garden and add a garnish of fresh basil on top for a homegrown touch. 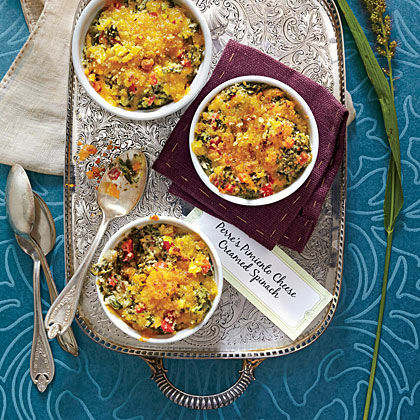 This is inspired by the traditional pub foods of England, which get an injection of Southern flavor with the addition of a tasty corn pudding crust. 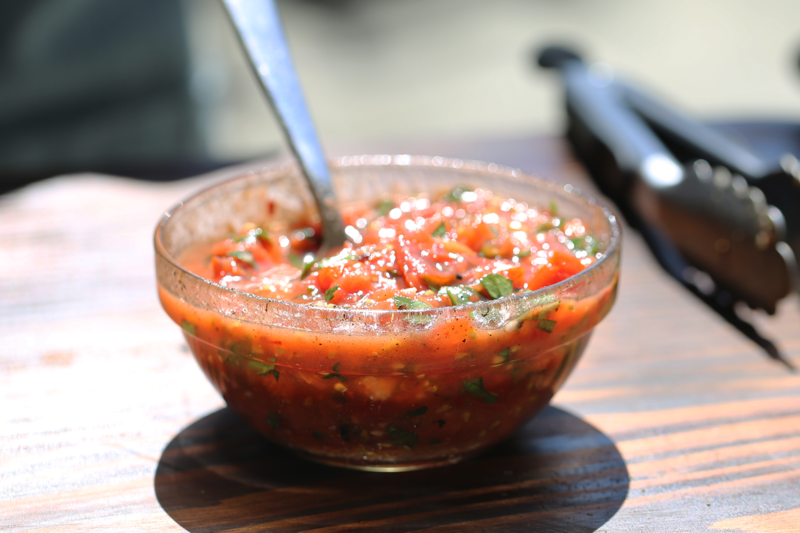 You can serve this one-dish meal with your favorite salsa; they’ll go so well together. 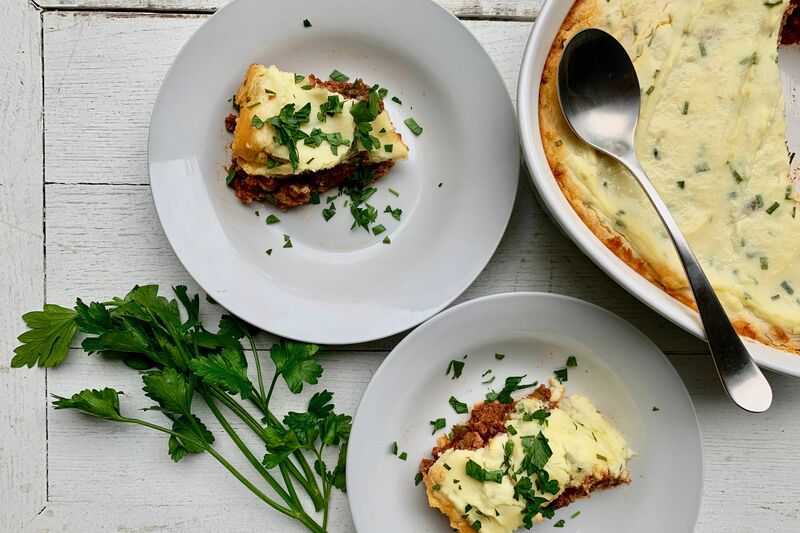 You can also bake these pot pies them in individual ramekins for an attractive, versatile serving option, or you can follow our directions for baking the pot pie in a 13- x 9-inch baking dish. Either way, in no time, this is going to be your favorite way to use pork in the kitchen. Watch out, turkey. We’ve got a new Thanksgiving dish in store. Nothing seems quite as indulgent (or as crowd-pleasing) as garlic bread at suppertime. This recipe makes use of that family favorite by adding a crust of thick garlic bread to this sausage gumbo pot pie. The garlic bread crust works wonders on this dish, and makes this pot pie a hearty and flavorful supper. In our book, there’s nothing better for supper than something that is equal parts flavorful and filling, which is why your family will want, but probably won’t even need seconds of this dish. 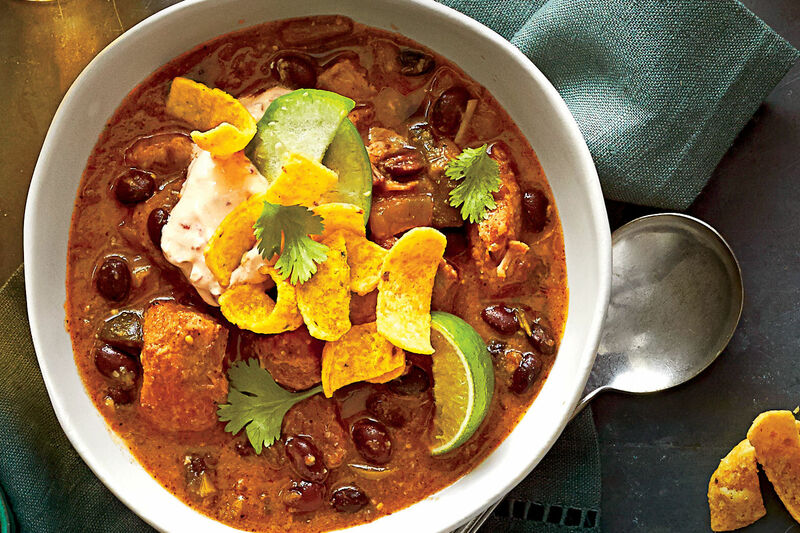 You will have plenty of leftovers for the rest of the week’s suppers. Around here, we say that a lot of things are quintessentially Southern, but you have to admit, this dish is really, really Southern. We packed as many traditional Southern flavors as we could into this entrée, ensuring it will be favorite amongst the generations. This pot pie is a favorite dish for casual suppers with friends and family. It adds the tried and true combination of ham and greens with the heartiness of pot pie. As if that weren’t Southern flavors enough, it is topped with the region-wide, always beloved addition of cornbread. 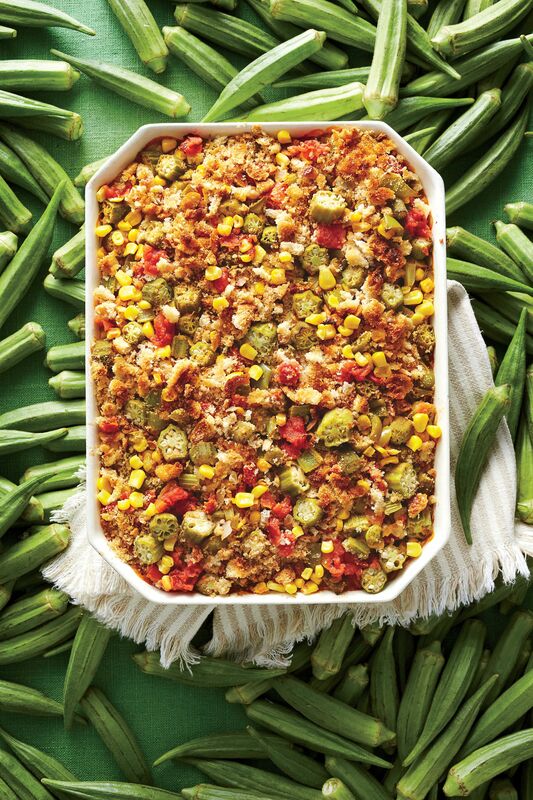 Normally a side, here cornbread takes center stage, elevating this casserole to delicious new (Southern) heights. 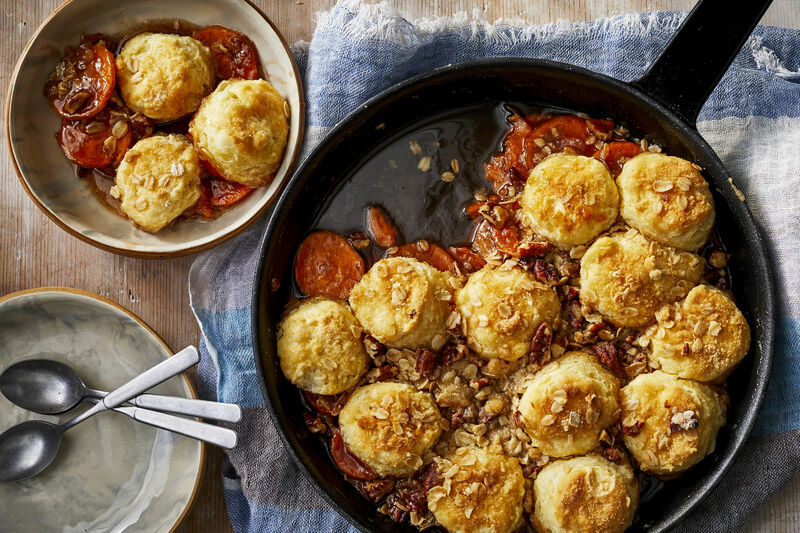 Pretty much anything goes in this catch-all cobbler, which means it is great to make when you’re cleaning out the cabinets and want to throw it all in a dish that your hungry family will enjoy for supper. We made our cobbler with ham, sweet peas, mushrooms, carrots, and a flaky piecrust. Feel free to add other veggies, or try turkey instead. It’s all up to you, your favorite ingredients, and whatever you have in your pantry or refrigerator. 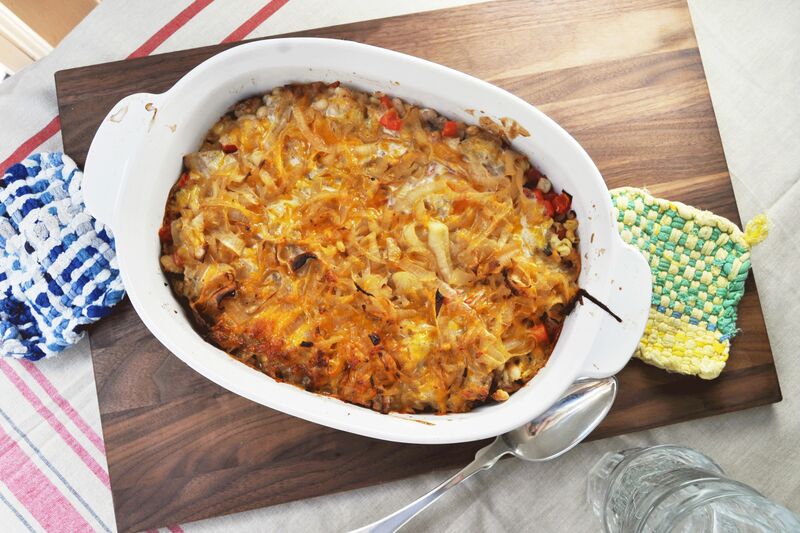 This casserole is incredibly versatile and supremely easy to prepare. 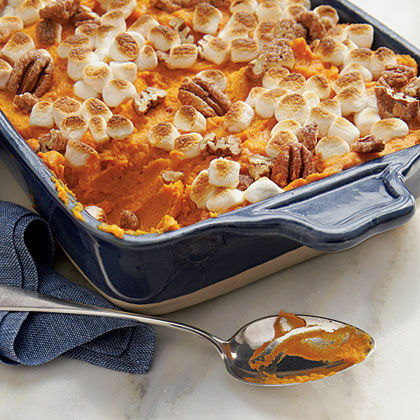 We love how practical it is, but no one would ever guess that you threw it together—there’s an elegance to this casserole that is intensified by the crust, which we cut with zig-zag edge cookie cutters. A small touch can make a big impact.